Whether you need to spice it up, raz it up or cool it down, with these three mayo's it's going to be easy. 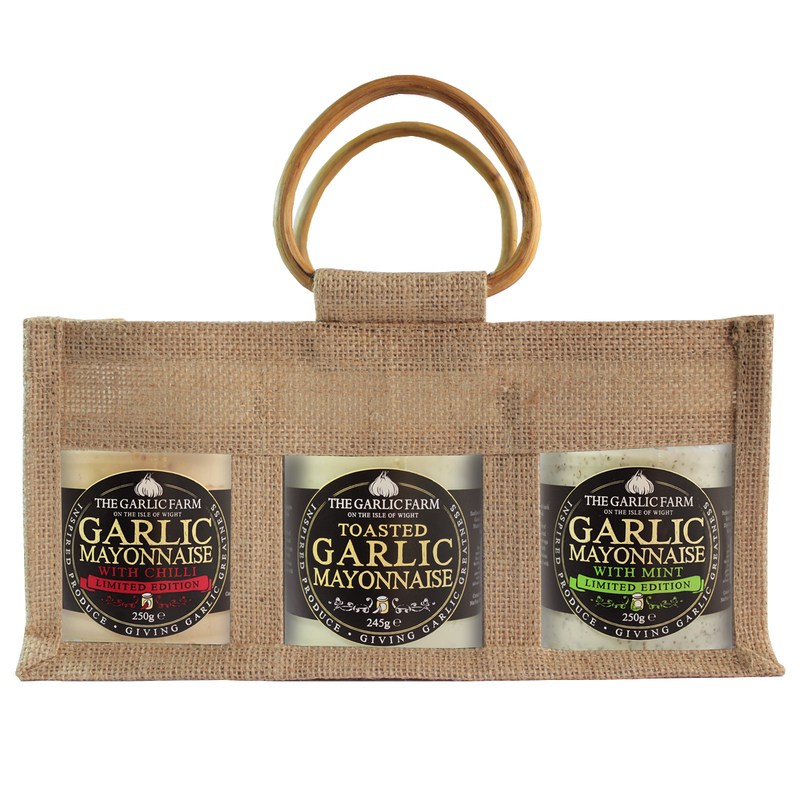 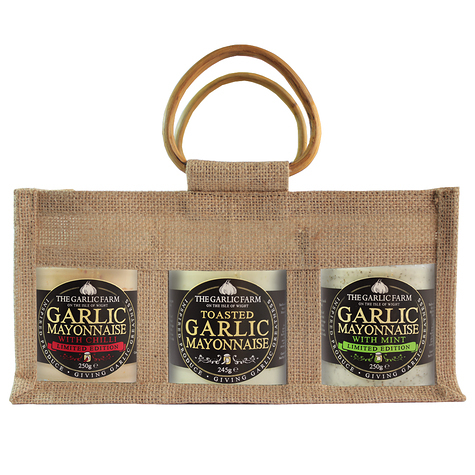 This trio of Mayo's come presented in a smart re-usable jute carrier. 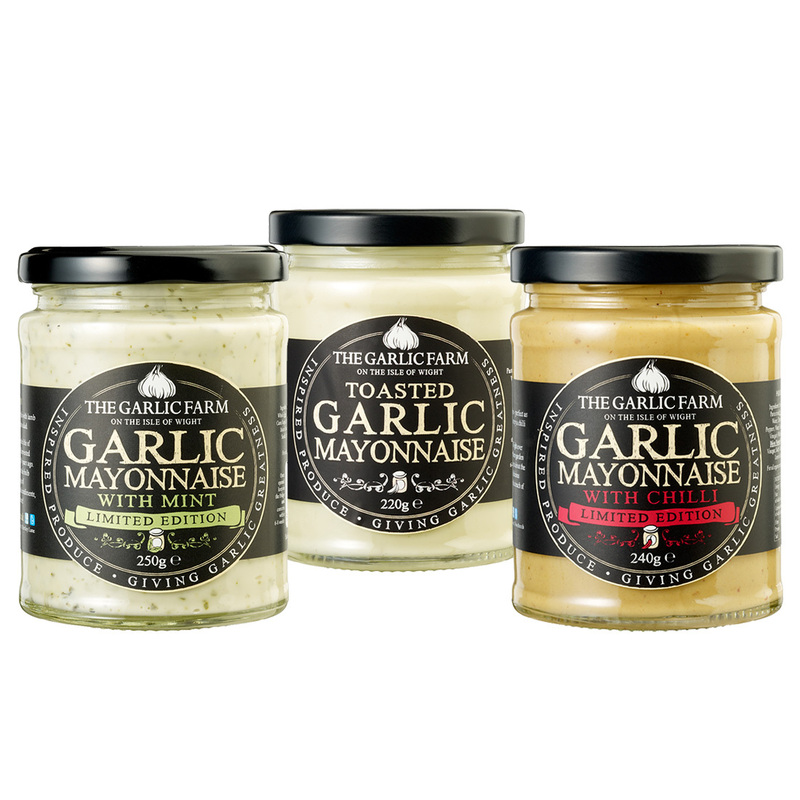 How about: 1.Spicing up your coleslaw 2.Boxing Day BLT with garlic mayo 3.Use our limted edtion mayo to make the perfect minty potato salad.